Last week I had the absolute pleasure of traveling to Basel in Switzerland, to attend the 24th Annual meeting of the International Association of Dance Medicine and Science. I have attended a few times and is always great to hear about the latest research into the dance science and medicine field. Over the years I have been to a few of Annemari’s workshops and I wish I could spend more time being around her! 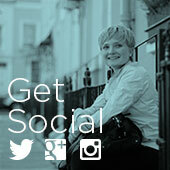 Annemarie has extensively researched and continues to explore the world of fascia and movement. This understanding and connecting to the deep connective tissue is applied to the moving and dancing body. The workshop focussed ‘listening’ to the subtle voice and movement of your fascia and allowing it to guide you through your dance technique. It may sound a little strange but trust me the experience was remarkable! Anniemarie’s main question for the past 20 years is ‘how to make dance technique and artistic expression efficient and effortless?’ and in her latest book she shares her findings ‘The Feeling Balletbody’ both humorous and scientific (which is a rare find) well worth a read. Eric Franklin and The Franklin Method is known to many dance and Pilates teachers across the globe. 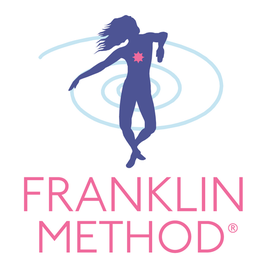 Quite simply, ‘The Franklin Method uses dynamic imagery, anatomical embodiment and educational skills to create lasting positive change in your body and mind.’ I have attended quite a few of his workshops and each one is stimulating, educational and good fun! At the conference the focus was on the mechanics of the foot. His use of visual tools to explain how the foot moves in spirals was fasinating and with the handy use of ‘Franklin balls’, we brought awareness and proprioception back to this often neglected area. The impact on our jumps pre and post workshop was incredible. The method really works and can be applied to your everyday life whether dancer or not.